SNAICC News is a quarterly newsletter with information on issues impacting upon Aboriginal and Torres Strait Islander children and families, services working with them and organisations or individuals with an interest in children’s rights. The July 2016 edition of the SNAICC Newsletter is now available to view online. The December 2015 edition of the SNAICC newsletter is a very special conference edition, with extended features on the outcomes and keynote presentations from the 6th SNAICC National Conference, held on the land of the Whadjuk Noongar people, in Perth, from 15-17 September. The first SNAICC News newsletter for 2015 covers the early responses from Indigenous and community services organisations to the Australian Government’s funding announcement under the Indigenous Advancement Strategy, as well as assessing how the Productivity Commission’s report on child care may impact on Aboriginal and Torres Strait Islander children and families. The September 2013 edition of SNAICC News features articles on SNAICC’s highly successful Fifth National Conference in Cairns in June, and snapshots of celebrations across the country for National Aboriginal and Islander Children’s Day on 4 August. The May 2013 edition of SNAICC News features an interview with the National Children’s Commissioner, Megan Mitchell, in which she emphasises the importance of listening to children when developing policies and programs that impact on them. Highlights in this issue: Stronger Futures legislation widely opposed, Australia’s record on children’s rights under review at UN, Opening the doors on partnerships, SAF,T: NT peak body begins journey on new path, Profile of Lulla’s Children and Family Centre, and Deadly NAICD 2012 poster hits the streets. Highlights in this issue: Victorian Human Rights Charter under review, The need for cultural proficiency in children’s services, EYLF: What does it mean for our services?, Productivity Commission’s early childhood report, Our families not hard to reach —but good services are. Highlights in this issue: The story behind this year’s Children’s Day poster, WINANGAY– ways of working with Aboriginal families & kinship carers, News on the project – Us Young Women Matter, ‘Making a big difference in Cherbourg’. Highlights in this issue: NT Child welfare sector reform, The NT Intervention, Aboriginal & Torres Strait Islander Child Placement Principle, Cultural care in out-of-home care, Interview with Graham Atkinson, Keeping connected with culture. October edition of SNAICC’s quarterly newsletter, with highlights and reports from SNAICC’s National Conference, National Aboriginal and Islander Children’s Day report, SNAICC Update and policy news. Highlights in this issue: Conference thanks-get ready for Cairns, SNAICC’s 9 federal election priorities, Aboriginal & Islander Children’s Day, Many stories from SNAICC conference, Dorothy Scott speech on child protection, Jo Sparling & Abecedarian approach, and Mosquito advocacy – Cindy Blackstock. Highlights in this Issue: The Early Years Framework (EYLF): next steps, The 35 Children and Family Centres, Bubup Wilam for Early Learning Kinder, National standards for Out of Home Care, Goodbye to Debbie Bond, hello to Leona Smith, Working and Walking Together. Highlights in this issue: Don’t blame child protection system failures on the Aboriginal Child Placement Principle; Darryl Henry interview on healing, SNAICC’s 8 Priorities, National out of home care standards, Glenda Kickett from Djorraminda, SNAICC AGM 2009 report. Highlights in this issue: Conversation all about SNAICC between Muriel Bamblett and Julian Pocock, Governance of the Indigenous Children & Family Centres, and tips for developing policies & procedures. Highlights in this issue: First impressions of a new EO, Stories of NAICD Childrens Day, National Early Childhood Education & Care Quality Reforms, Submission to the Healing Foundation, Port Augusta service stories, Cindy Blackstock speaks out The impact of incarceration on Aboriginal & Torres Strait Islander children and their services. Highlights in this issue: After ten years of service, former SNAICC Chair Muriel Bamblett and SNAICC Executive Officer Julian Pocock have stood down, an enormous loss. This issue tells some of their stories.  We also cover many of the recent federal initiatives aff ecting Aboriginal and Torres Strait children and families. This have been a very busy time for the organistaion, and there is much to report on SNAICC’s activities in this edition. including the report on Minister Jenny Macklin launching Children’s Day and a report of Children’s Day. July 2008 edition of SNAICC’s Newsletter, featuring a special focus on the theme ‘Health and Nutrition’, and an editorial on the National Child Protection Framework. January 2008 Edition of SNAICC’s Newsletter, with the special theme of Education and Literacy, Editorial calling for a national approach to child protection and foster care, SRS Update, review of SNAICC’s 2007 work, and SNAICC AGM report.